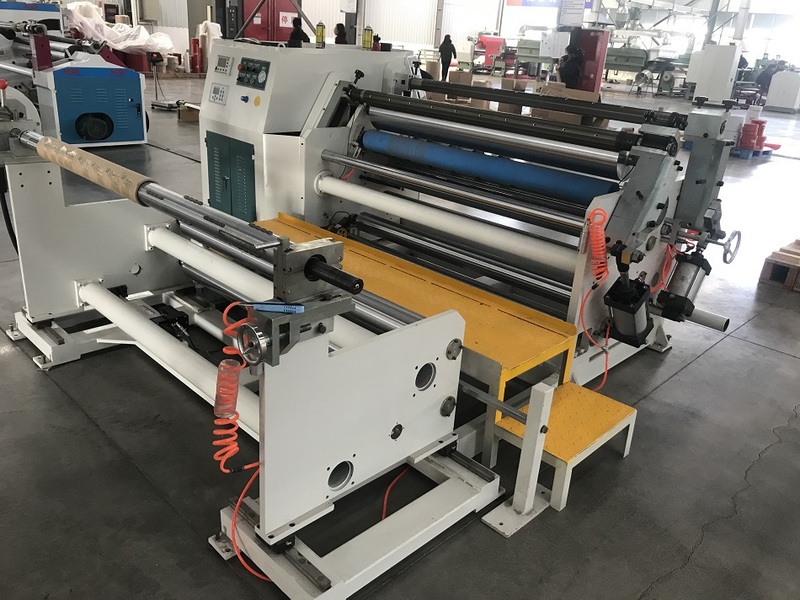 The complete machine is composed of unreeling part, slitting device with upper and lower knives, drive part, reeling part, electronic control system, etc. 1. Photoelectric correction is adopted to prevent shake at the time of unreeling, so the precision is high. There are two shift gears: manual shift gear and automatic shift gear. 2. There are two reeling types: surface reel and central reel. 3. Automatic tension is adopted at the time of unreeling. 4. With the characteristic of reliable quality and convenient adjustment, the Circular knife is adopted to slit. 5. Surface & centre reel can guarantee stable quality. Double axles reels in the interlaced mode. 6. The length is fixed. It will automatically stop once it is overlength. The length is measured in meter automatically. 7. It is equipped with the edge cutting device. The offcuts are discharged by the air blower. 8. It is applicable to slit narrow bands and high tension materials such as cable paper, thin film, insulating material, etc. 9. The transmission gear is set as mute mode. 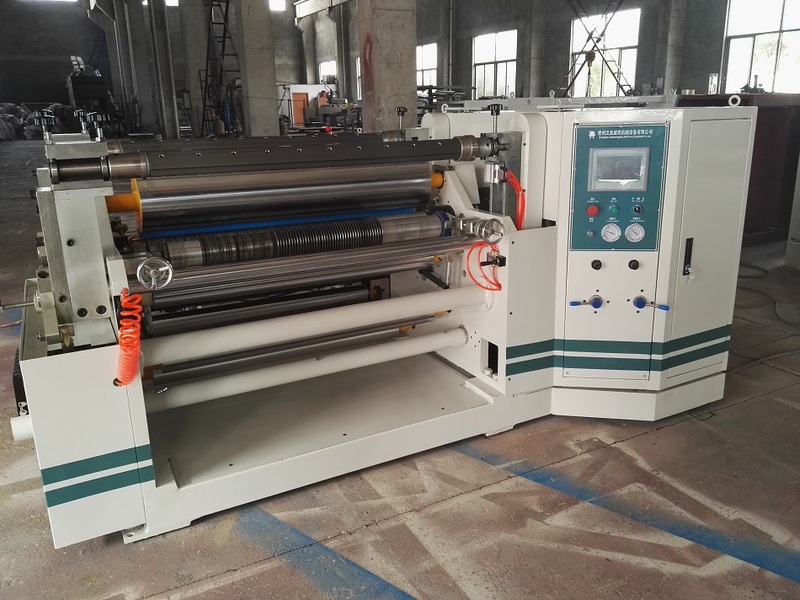 1.It is applicable to the following base materials: cable paper, insulating materials with the specification from 60g/m² to 250g/m², mica tapes with glue, composite materials, electrical paper,metallized film, rust-proof paper, etc. 2. It is applicable to the following industries: industries related to various insulating materials, special electrical paper, rust-proof paper, etc. 5. maximum diameter of the reeling material is related to material thickness, tensile strength , deformation and other factors.